This article was published in the June, 2000 CORSA Communique. Several years ago, Dave Newell obtained copies of GM of Canada's end-of-model-year production report for 1966. Dave shared this information with Bob Gilbert, who shared it with me. The report is chock full of interesting production statistics. The original document features one page of summary statistics plus 11 pages of details, organized by option and model. Below are the summary statistics, followed by the details. As a side note, the production figures on the summary sheet that GM Canada's archives provides for interested owners is the "number produced for sale in Canada". So, for example, the summary sheet for my Corsa convertible shows it to be 1 of 192, not 211, built. From the article "Foreign Intrigue" in Dave's The (in)Compleat Corvair Story, I learned that Corvairs were actively sold in Belgium, Canada, Denmark, England, Germany, Mexico, Norway, South Africa, Sweden, Switzerland, Venezuela, and many other countries over the years. A total of 34,875 Corvairs were exported (approximately 23,000 SUPs and 11,500 CKDs). When thinking about SUPs vs. CKDs, you might ask yourself, "Why would GM go to all the trouble of shipping a bunch of parts overseas for final assembly?" Some of the countries listed above placed prohibitive import duties on fully-assembled vehicles. Dave commented to me recently: "After 1962, Brazil, Peru, Venezuela, and Mexico, in particular, had such high tariffs that only the very rich could import complete cars. Another reason was shipping costs: shipping rates for automobile parts are less than for complete cars. Parts can be shipped much more compactly than complete cars, which take up more valuable floor space on ships. Their crates are stackable too. Most SUP cars were shipped uncrated." To get around these problems, GM produced CKD cars in the U.S. and Canada and shipped them overseas, where they were assembled then sold. The story of SUP Corvairs is a little different. Unlike CKDs, they were produced in quantity both in the U.S. and in Canada during 1965 & 1966. Before 1965, fewer than ten SUPs left Oshawa each year. All the other SUPs came from U.S. plants. The amount of import duty on a car exported from the U.S. vs. Canada to a given country. If the receiving country had lower import duties from one of the two sources, it would be selected. The final destination of the car. SUPs were often exported for citizens temporarily living abroad who intended to bring the car home. Therefore, they would buy the car from the country of its eventual destination. For example, read about a 1966 Willow Run Monza coupe SUP that was very likely ordered by an American soldier stationed in Germany who had the car shipped back to the States after his service ended. Dave added, "SUPs were exported for the 1967-69 model years from the U.S. because they were only built in the U.S., not Canada. However, you could consider a Swiss-built 1967 Corvair a SUP if it were exported to Italy, for example; or a Belgian-built 1967 Corvair a SUP if it were exported to Germany, for example. After 1967, production ceased in Belgium and in Switzerland although a very few SUPs were imported by both countries." Dave's article notes that 144 CKD units were produced for Switzerland during model year 1966 and that 96 of them were sedans with manual transmission while 48 were sedans with automatic transmission. It sure would be fun to find one of these cars for confirmation! Dave also found that the very first car (serial 0001) was a 500 coupe built on September 8, 1965. The build date of the very last car (serial 6137) was June 16, 1966. You can derive the full VIN of the last car built each month (except September) from the information above. The first digit is always 6, indicating the build year. The next five digits are the often-seen model number. The last six digits are the serial number. For example, the VIN of the last car built in February is 610537004432. 1966 was the last year GM produced Corvairs in Canada. In 1965, the U.S. and Canada signed the Automotive Products Agreement (Auto Pact). From Canada's point of view, Auto Pact removed tariffs for cars and parts imported by U.S. auto manufacturers, provided that the U.S. manufacturers made certain commitments to jobs and investments in Canada. The detailed information exists in two reports: the "1966 Corvair Equipment" report (11 pages) and the "1966 Corvair CSL" report (2 pages). (CSL stands for Canadian Special Listing, the Canadian equivalent of COPO [Central Office Production Option]. Thanks to Dave Newell for this bit of info.) Check out this sample of how the original 1966 Corvair Equipment report looks. Note that both reports were produced on September 12, 1966, more than a month after the summary report discussed above. The information is mostly complete now, but there are still some holes. Dave Newell helped decode many of the unfamiliar options but there were even a few that he did not have record of. The original reports do not consistently break down the data. For example, for option A01 (tinted glass, all), the Corvair Equipment report only provides numbers on coupes vs. sedans vs. convertibles while for option C48 (heater delete), the report breaks down the data by each individual model and body style. All of the data and notes below come directly from the reports except where enclosed by brackets: "[ ]". I did reword most things to be more clear than the extreme shorthand used on the original reports. The reports often have normal entries then entries followed by the letter "L". After puzzling over this for several days, I found some summary information in the 1966 Corvair Equipment report which equates "L" with CKD units. Therefore, any line of the original reports that had an "L" suffix is represented below as CKD. Dave Newell confirmed that the the presence of either "L" or "R" indicates CKD. "L" indicates CKD cars with left-hand drive. Some models of GM cars (Impala and Chevelle, for example) could be built with right-hand drive ("R"). All 144 CKD Monza sedans equipped with this option are also equipped with option X02 (upholstery delete). 24 of these units have #702 Fawn trim, 48 have #722 Blue trim, and 72 have #740 Red trim. 24 of these units have #702 Fawn trim, 48 have #722 Blue trim, and 72 have #740 Red trim. Of the 103 coupes with tinted glass, only 1 500 coupe was so equipped. Option A01 must not be specified when A02 is specified. Of the 74 500 coupes with this option, there are 27 with #701 Fawn trim, 29 with #721 Blue trim, and 18 with #739 Red trim. Of the 49 500 sedans with this option, there are 23 with #701 Fawn trim,17 with #721 Blue trim, and 9 with #739 Red trim. This option is standard on Monza coupe, Monza sedan, and Corsa coupe. This option is not available for CKD units. 248 of the 396 tops were black (code 002), 122 were white (code 010), and 26 were beige (code 016). No turbocharged cars were equipped with this option. All 12 of the Monzas equipped with this option were also equipped with M35 (Powerglide transmissions option). This option is standard on Monza sedans. 85 of the coupes and sedans equipped with this option were also equipped with N44 (quick steering option). 11 of the convertibles equipped with this option were also equipped with N44. 1 500 or Monza with G95 (3.55:1 ratio differential option) was equipped with this option. 113 500s and Monzas with L63 (140 HP engine option) were equipped with this option. 144 CKD Monzas with L63 were equipped with this option. 98 500s and Monzas with M35 (Powerglide transmission option) were equipped with this option. 48 CKD Monzas with M35 were equipped with this option. 1 500 or Monza with M35 and G95 was equipped with this option. 50 500s and Monzas with M35 and L62 (110 HP engine option) were equipped with this option. 5 500s with M35 and L63 were equipped with this option. 32 Monzas with M35 and L63 were equipped with this option. 48 CKD Monzas with M35 and L63 were equipped with this option. No 500s with G93 were equipped with this option. 28 Monzas with G93 (3.27:1 ratio differential option) were equipped with this option. 144 CKD Monzas with G93 were equipped with this option. No 500s with M35 & G93 were equipped with this option. 5 Monzas with M35 and G93 were equipped with this option. No CKD 500s with M35 & G93 were equipped with this option. 48 CKD Monzas with M35 and G93 were equipped with this option. 15 Corsas with G93 were equipped with this option. 5 Monzas with M35 (Powerglide transmission option) were equipped with this option. 48 CKD Monzas with M35 were equipped with this option. To specify G93 on Monzas, option L63 (140 HP engine) must also be specified. For Switzerland only, to specify G93 with L87 (180 HP engine) and M20 (four-speed transmission), option G81 (limited-slip differential) must also be specified. 2 500s and Monzas with M35 (Powerglide transmission option) were equipped with this option. This option is standard on Corsas. When L62 (110 HP engine option) and M35 are both specified, this option is standard and must not be specified. When L63 (140 HP engine option) is specified, this option is standard and must not be specified. 113 500s and Monzas with L62 (110 HP engine option) were equipped with this option. 68 500s and Monzas with L63 (140 HP engine option) were equipped with this option. 16 Corsas with L87 (180 HP engine option) were equipped with this option. 3417 500s and Monzas with M35 (Powerglide transmission option) were equipped with this option. 48 CKD 500s and CKD Monzas with M35 were equipped with this option. 285 500s and Monzas with M35 (Powerglide transmission option) were equipped with this option. 10 500s and Monzas with M35 (Powerglide transmission option) were equipped with this option. When specifying this option, L62 (110 HP engine option) and L63 (140 HP engine option) must not be specified. 34 of the cars equipped with this option were also equipped with option N34 (sport steering wheel). 1 of those cars was a 500. This option is not available on CKD units. This option is standard equipment on Monzas and Corsas. When specifying this option for 500s, standard wheel covers (option P01) must not be specified. If this option is for a CKD car, specify option code T62 instead. The 500 equipped with this option did not have option M35 (Powerglide transmission). 67 Monzas equipped with this option had M35. 96 CKD Monzas equipped with this option had M35. This option does not apply to CKD units. 24 of the CKD Monza sedans equipped with this option have #702 Fawn trim, 48 have #722 Blue trim, and 72 have #740 Red trim. Of the 12 cars so equipped, 3 were also equipped with option P54 (7.00" x 13" 2-ply whitewall rayon tires), 8 with P55 (7.00" x 13" 2-ply blackwall rayon tires), and 1 with option P73 (7.00" x 13" 4-ply whitewall tires [export only]). 192 CKD 500s and CKD Monzas equipped with this option were also equipped with option L62 (110 HP engine). 48 CKD 500s and CKD Monzas equipped with this option were also equipped with option M35 (Powerglide transmission). 48 CKD 500s and CKD Monzas equipped with this option were also equipped with options L62 and M35. [Separate documents Dave Newell gave me detail a few parts that were deleted from the standard engine assemblies for option X28. The items were the distributor assembly (including clamp, retainer, nut, and gasket) and spark plugs (including gaskets). Although the actual name of this "option" is not known, it is a way of summarizing, by part number, the various engine types that were used in each car model and option application. All of the information appears to exist in the breakdowns for the various engine and transmission types, so is not repeated here. The report includes a line for cars equipped with both option 12M and option T60 (heavy-duty battery). One 500 and 48 CKD 500s were equipped with this option. 24 CKD cars equipped with this option were also equipped with option AA5 (molded carpet, rubber mats, and trunk mat, delete). When specifying this option, option U63 (push-button AM radio) must also be specified. When specifying this option, CSL option 84M (unknown at this time) must also be specified. Not offered in Canada, except on cars imported from the U.S.
Standard equipment in the U.S.
Dave Newell explained: "The instrument cluster was furnished by AC Delco, so to put in a clock on the assembly line would have meant a separate operation in the U.S., since the clock came from Borg Warner or Westclox. It was too expensive to double-ship the clock and have AC Delco put it in. This would also have added the headache of AC delivering more types of cluster assemblies. Oshawa, on the other hand, was a smaller, slower, and more flexible plant that could accommodate extra operations like this. Plus, their dealers were less likely (especially in export territory) to stock the accessory clocks." Not offered in the U.S. It seems like this option should be for exported SUP cars only, since an underbody oil spray was typically used to protect cars on the deck of a ship, but the report does not specify export only. Not offered in the U.S. 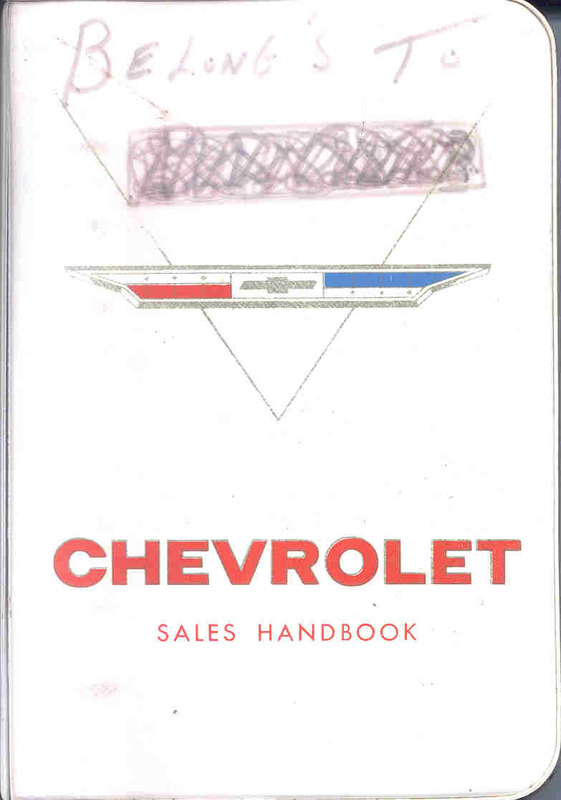 It is listed in the 1966 Chevrolet Sales Handbook. Not offered in the U.S. There are many other Canadian-only options related to exported cars (SUP and CKD). Those options are not listed in the table above. There are also some "options" in the report which are there just for accounting purposes because they really were the default standard equipment. An example is W77 (3-speed transmission). Those options are not listed in the table above. I'm still looking for a description of the following option codes: 12M, 22X, 79X, 80X, 83X, 84M, 84X, 85X, 86X, 87X, 88M, and 88X. Copyright © 1998- CorvairKid Enterprises. All rights reserved.